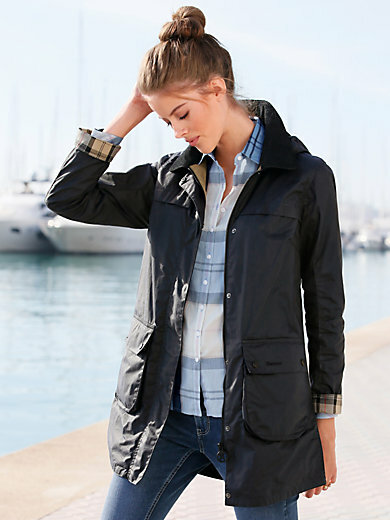 Wax jacket by BARBOUR thanks to its classic design, this BARBOUR jacket is truly timeless. It scores points thanks to its windproof and waterproof qualities. Characteristic details include the corduroy collar, generous bellows pockets and concealed 2-way zipper with press- stud panel, which give this timeless outdoor jacket its unmistakable BARBOUR look. Detachable hood with drawstring and stoppers. 1 inner zipped pocket. 100% waxed cotton. Lining with tartan details in 100% cotton. Length approx. 33 ins. Do not wash.